Are you looking for more excitement after exploring and having enough fun in Marmaris? 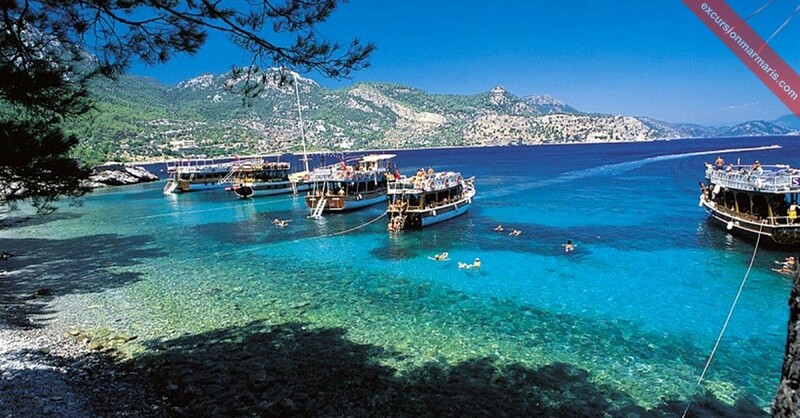 Enrolling for a Marmaris Boat Trip is a great idea. You will love a beautiful day of boat ride that takes you to spectacular places in the secluded bays and some mystic places where nature triumphs near Marmaris. 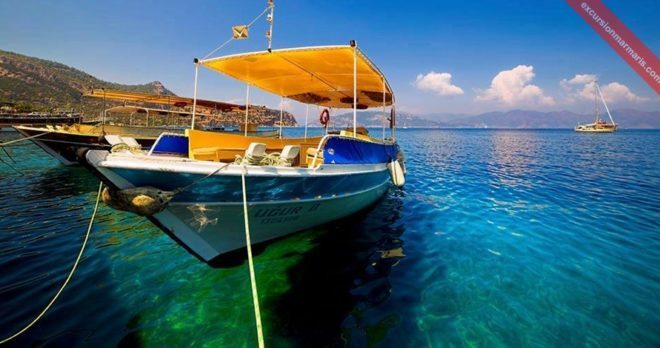 Our Marmaris Boat Trip plan includes picking you up from your place, a boat ride, halting at various points in the bays, swimming, snorkeling and exciting activities to make your day the most memorable one! Marmaris Boat Trip is a fantastic excursion to take. It never tires you and it is affordable as well. We provide you with accessories needed for swimming and snorkeling. You can participate in these activities on offer or just lay down relaxing/ sunbathing on the sunny deck. This unique sailing trip among the turquoise waters along the Aegean coastline surrounded by serene and pine-clad mountains is an experience you will remember for your entire life! 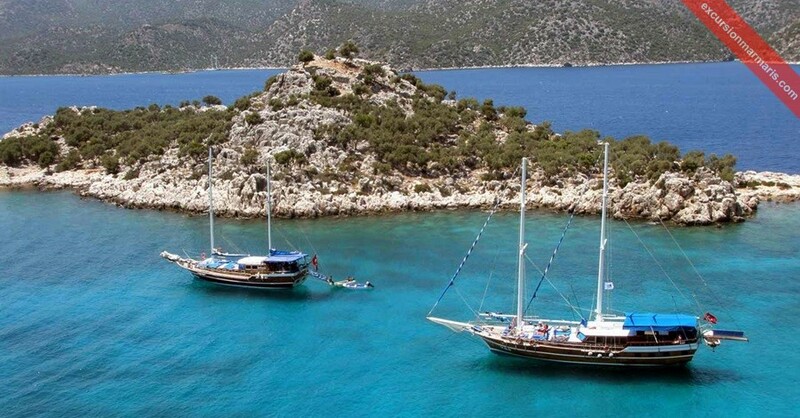 Our Marmaris Boat Trip offers you a golden opportunity to explore the beautiful Aegean Coast. During this exciting excursion off the Marmaris coast, you can sunbathe, swim in the secluded beaches and visit isles that are yet fresh to tourism. 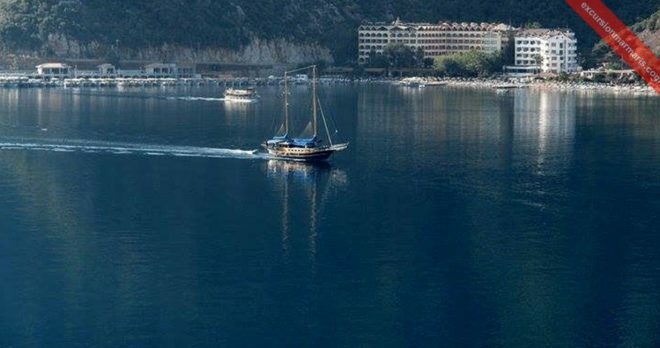 The journey begins in the morning at around 10:00 am; we pick you from your hotel and take you to the boat harbor. Then we begin the boat journey into the infinite waters of the Mediterranean Sea. 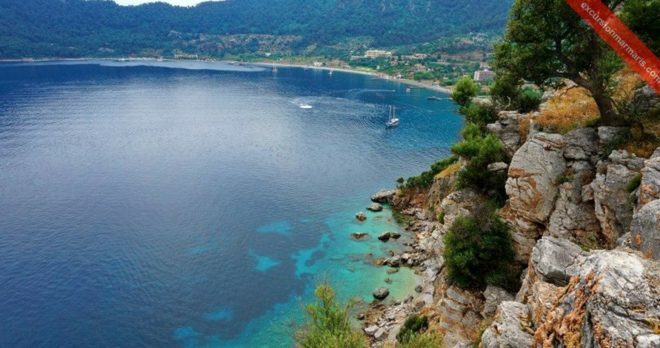 The scenery around is so incredible that you will begin clicking photos from the very point we begin our journey into the sea! 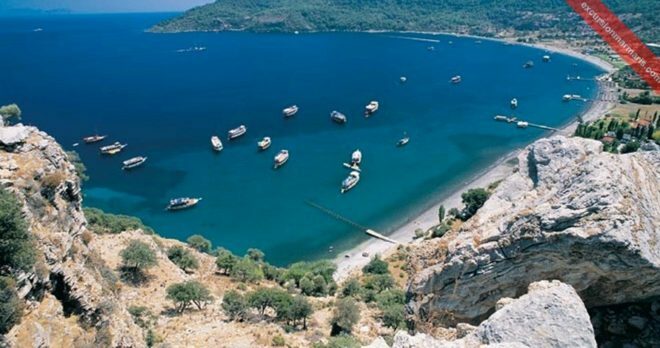 As the journey unfolds itself, you visit interesting coves, bays and places like the Turunc Village, Paradise Island, Aquarium Bay, Fish Bay, Green Sea Bay, Kumlubuk Beach and some sea caves like the Phosphoric Cave. 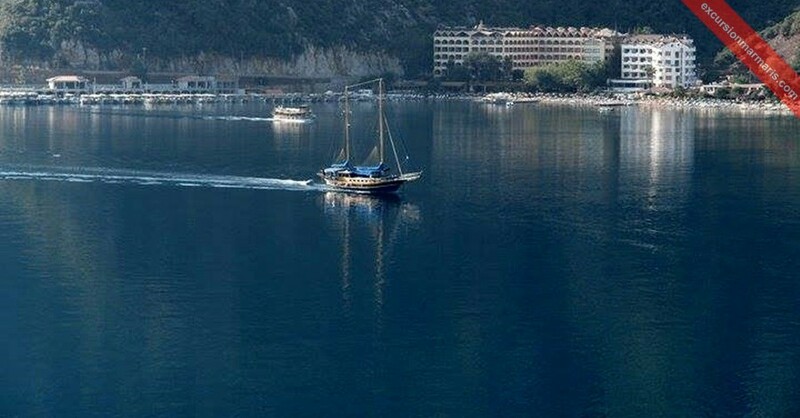 We provide quality halts in between that let you enjoy the climate and the water around to the most. 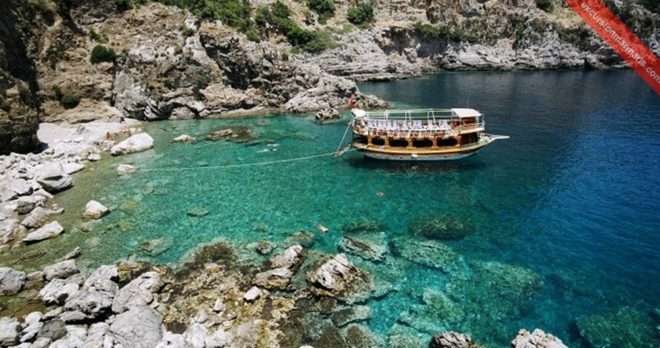 You can swim and enjoy among the clear waters and experience the sheer joy of our unique boat trip. Onboard, there are games for couples and kids; there are contests, quizzes, storytelling and still more entertainment all-around. 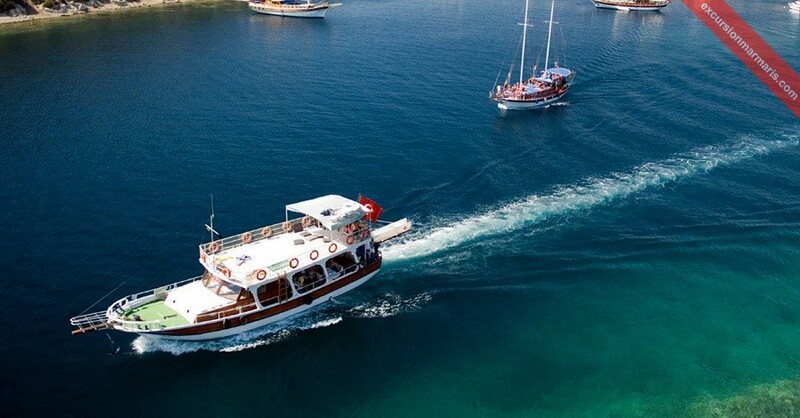 Along with this you are offered a luscious BBQ lunch, salads, pasta/meze onboard and it is all included in our trip plan. 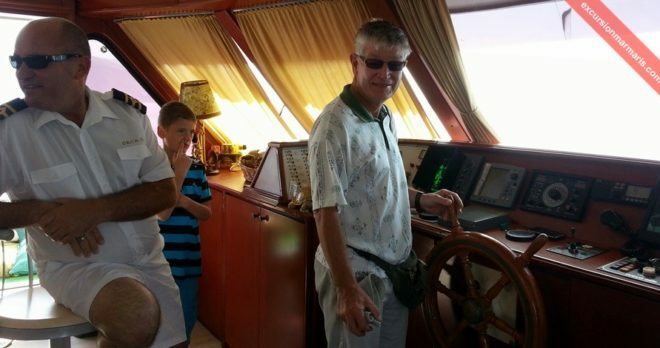 The trip ends at about 17:30 pm in the evening and we bet you won’t be too keen to get off the boat! Don’t Forget: Swimsuits, Suncreams, Towels, Cameras, Hat. 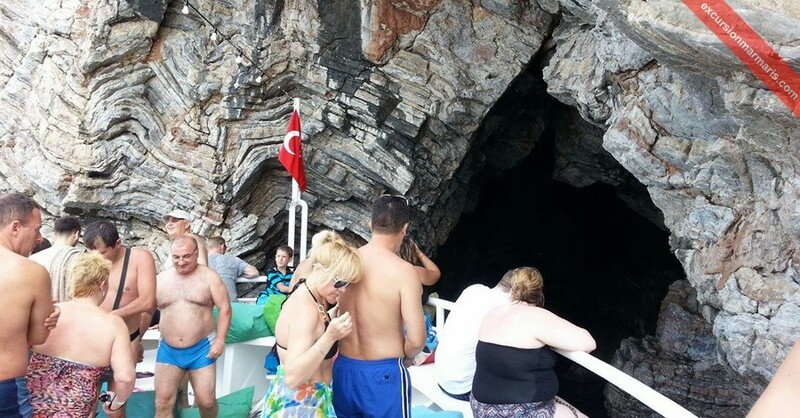 Our Marmaris Boat Trips are kids friendly and we welcome them coming along with you. We arrange special contests, games, quizzes and other entertainment activities onboard for them. We make sure that they are happy all through the day! 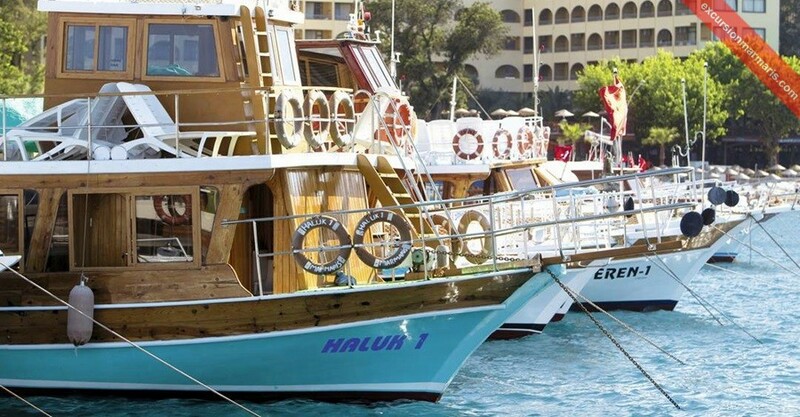 The Marmaris Boat Trip fee includes the food that you are offered onboard. We cook fresh food onboard in kitchens on our special two storey boats. We offer BBQ lunch, tasty meats, pasta and salads onboard. Just let us know the place you are staying; we will arrange for a free pick-up at the beginning of the trip. We will drop you back to your hotel in the evening when the trip comes to an end. Really good day well worth the money! 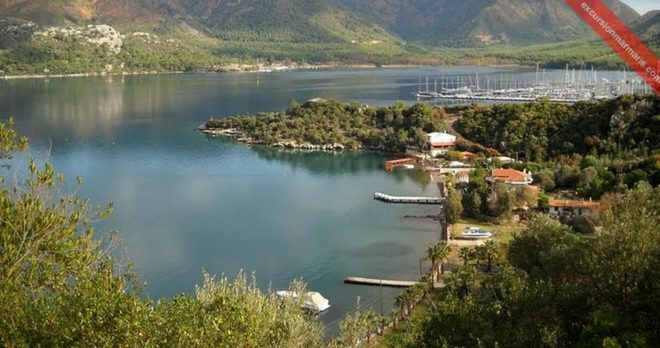 Marmaris Boat Trip is ideal to see the sights around the town, most of the day we spent stopping in coves and some amazing beaches to swim . 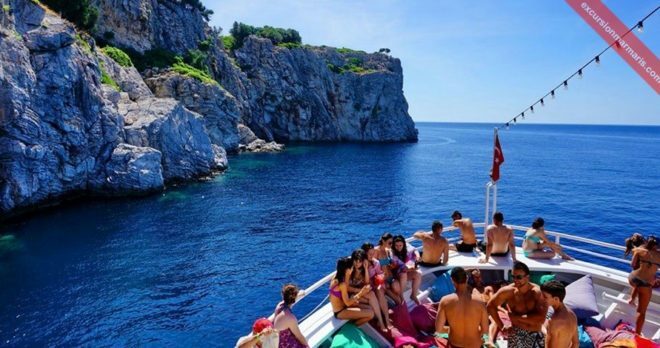 There are lots of sunbeds on the top of the boat and very comfy but don’t forget to put suncream other wise ,it will really hurt in the afternoon. The views were great to make some really fantastic pictures. if you like markets book on Monday , where we had a stop for one hour for the local market in Turunc.